Details: What is CANNIVAL? A 3 day Campout Festival celebrating life, art, live music, and of course, our freedom to enjoy legal cannabis. On November 6, 2012, Amendment 64 was voted into law. Summit county, Colorado was the first place to sell 100% Legal Weed. We are living history here in the Centennial State. Come celebrate with us at the beautiful I Bar Ranch in the HIGH country of Gunnison, Colorado! 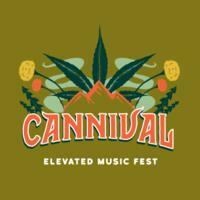 Beginning on Friday (4/19) through Sunday (4/21), we invite you to be a part of the first ever 420 CANNIVAL International & local musicians, artists and enthusiasts alike, will be together for 3 days of unforgettable music & entertainment. This is a strict 21+ event … NO exceptions - Thank you! What to expect? … 3 Day Campout ~420-Olympix~ (More info and online registration - coming soon!) Movie Lounge featuring classic ganja-loving movies Paint N’ Smoke area Morning Cannabis Sermon + Yoga Workshops + Open forum Discussions Mechanical Bull Rodeo Glassblowers Industry Vendors Food Trucks Massive bonfires On-site Camping (Tent & RV) // please …NO campfires at your site On-site VIP Glamping options Hiking/biking trails on + around the venue Endless options in the Gunnison Valley … bring your wildest spirit!